Since I self-published Lazarus in 2016, it has won 5 awards and has been a #1 Religious Mystery Bestseller on Amazon UK since July of 2017. It may slip when a new book is on sale or newly published, but it will go back to the top. I still cannot believe everything that had transpired in two years. There are many of you out there, a while back, who may have read my book, a semi-supernatural thriller. It spans time, from the original event of Lazarus being raised from the dead. A witness paints the miracle. His work echoes with mysteries, spanning the centuries up until the present time. It is a thriller deeply entrenched in ancient legends, and has been compared to novels of Dan Brown. I could say it is my best work to date. As such, I failed to understand why it languished in a lowly spot on Amazon’s rankings. I examined it in detail. The main reason for its sad performance was that I chose a vanity publisher, (authors may call them independent publishers), who had a mass of titles on its list, and a staff to carry out all the requirements of publishing. I was attracted to the hype attached to its name, supposedly one of the biggest in the UK. The covers and artwork looked fine to me and I was impressed. The book spent three months on Amazon before the publishers regained control. After that, nothing happened… nothing at all. No promotions, no ideas. Even the initial book signings I completed, were done off my own back. I then began looking around at the indie scene and realised I could have done so much more for The Lazarus Succession. Control would have been mine and not the publisher's. I could do practically everything I had hoped the publishers would do. Positioning the book, (which is more tricky than most realise), promotions, price deals, the use of Createspace for hard copies, and lots more besides. My other books, The Brodsky Affair, and Suicide Seeds have done well. The latter reaching a No.1 Bestseller spot on 6 major mystery, suspense, thriller categories with Amazon. I questioned why Lazarus fared so badly when it was in the hands of a publisher who supposedly knew their business. Eeva Lancaster, who operates the design and publicity venture of my works now, suggested that Lazarus could do so much better with a makeover. Her covers are first-rate and she is a thorough editor. Allowing me to retain my writing style, at the same time, polishing it and cutting off portions that are not needed. A painful process, but necessary. Thankfully, I retained full rights to Lazarus. I know of some authors who were stuck with the publishers for a certain number of years. Immediately, I requested the publisher to unpublish my book and end our contract. While I am grateful for the help of my publisher when I knew nothing about self publishing, I realise now that unless the publisher has given the author an advance royalty, we cannot expect them to focus their attention and efforts on the books under their care. However, that is what the book needs. Focused care. Focused efforts to expose it to potential readers. So, it was agreed. 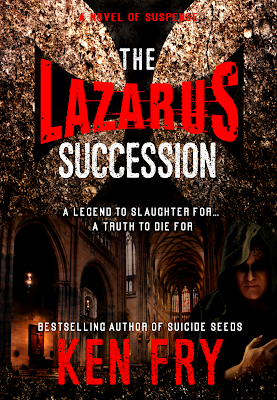 The Lazarus Succession was unpublished, and an improved 2nd Edition will be launched after Christmas. I invite you all to get a discounted copy on pre-order. 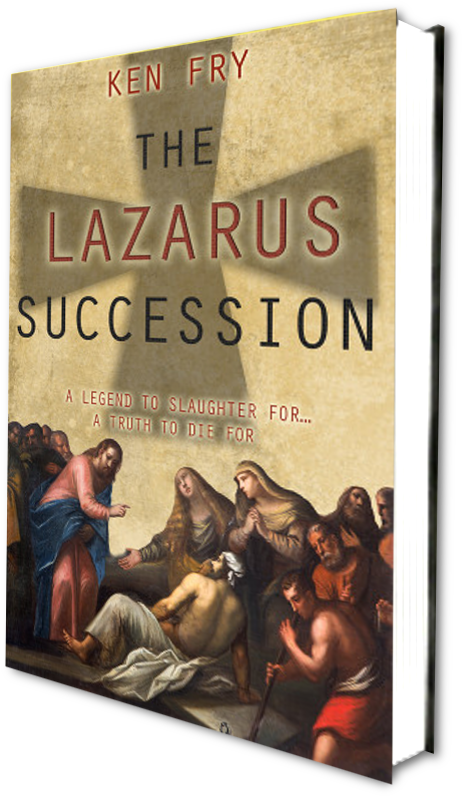 The 2nd edition of The Lazarus Succession is now available for the pre-order price of $0.99. Launching on December 26 at the regular price of $3.50. Now, here's the cover designed by The Book Khaleesi. It captures the essence of the novel more than the original one I had. I have heard from many that the previous cover made it seem like a book about Religion, which Lazarus is not. While Lazarus speaks of old secrets that has reverberated through time up to the present day, it only touches on the raising of Lazarus in connection to the painter Cortez. It is a historical thriller. 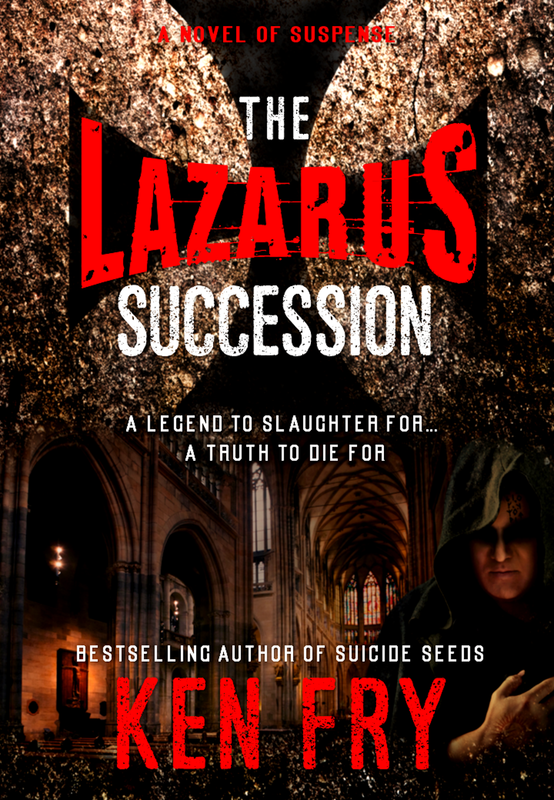 The Lazarus Succession will take you back to the time of Christ, and shine a light on a secret that has reverberated but remained hidden for centuries. Until Now. The Second Edition will be better.